Hardly will you see experts and enthusiasts in the audio industry discuss speakers without the mention of Infinity. The company came into being in 1968 and has been a part of the Harman Industries conglomerate since 1983. That’s a solid 50 years of exploits and to be honest, infinity has made quite some breakthroughs in design, sound quality, and durability of their affordable speakers which we’ll discuss in this Infinity Car Speakers Review. Along with car speakers, Infinity also produces some of the best loudspeakers for home theater and marine-grade audio systems. We’ll briefly share our general though on infinity speakers for people who are still unfamiliar with the speakers. Grab a seat and read on to learn whether or not you need a pair or more of the speakers we shall be reviewing today. Are Infinity Car Speakers Good? That is one question that is often on the lips of most people who seem to not really know about the Infinity brand of speakers. A lot of Americans hardly know most other audio companies aside Kenwood and Sundown because most of their appliances are stocked up in our kitchens and living rooms. It is then necessary to verify or clear the air about how good these speakers are. So, are Infinity Car Speakers really good? The answer is a resounding yes, absolutely. The company has been around for close to five decades now and you’d expect them to have gotten their game well-played. Although there are a few hitches here and there just like it is with every other car speaker brand out there, we’ve grown to love and appreciate the design and sound performance of these speakers along with their fair and reasonable pricing. The Infinity Reference and Infinity Kappa series of car speakers are the most popular as they offer a great sound output, a great design that fits most cars and a price that fits most budgets. 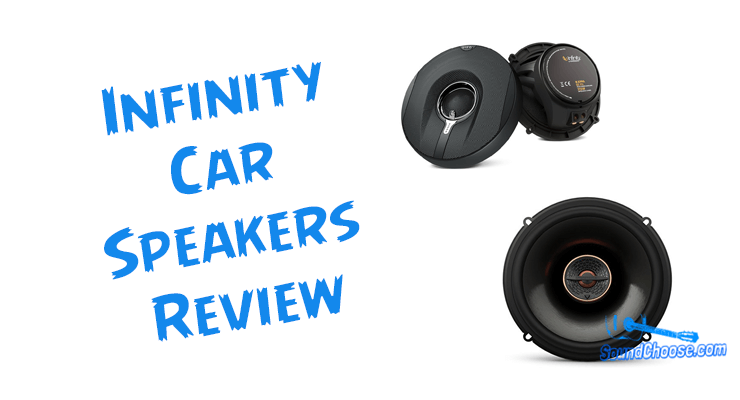 We shall be reviewing both of these series in this Infinity Car Speakers Review. The review will outline the general pros and cons of the Infinity Speakers brand while also establishing the difference between both series of Infinity Reference and Infinity Kappa. The Infinity Reference Speakers are the most popular and well-accepted series among the Infinity brand of car speakers. They are not just a pair of sound-blaring speakers. They have been engineered and designed to offer much as far as sound output and quality is concerned. Even though they are some of the best sounding car speakers you can fit into your cars, there are still a few glitches which we’ll also let you know about. We’ll review two of the best Infinity Reference Car Speakers which are the Infinity REF65221X and the equally popular Infinity Reference 6030CS Car Speakers. The Infinity Reference REF6522IX is one of the best sounding speakers offering a significant upgrade to the mediocre type of speakers that comes with cars and other automobiles. When we took the Reference REF 6522IX for a test, we found out its excellence to be in the mids and highs although it sounded a little lower in volume compared to some of the other speakers in its category. That is not to take away the shine though as these are quite great and will lighten up the atmosphere whenever they are in use. For their price, the Infinity Reference 6030cs may just be the best sounding car speakers within their price range as these speakers deliver down-to-earth, crisp and clear audio for well under a hundred dollars. The 6030cs 2-way configuration along with its RMS of 90 watts and some other great specs and features has made them one of the top-rated 6.5 car speakers available today. It is, however, advisable to pair them with an external amp or a head unit at least to ensure optimal output. The Kappa 62.11i fits into most cars we’ve seen and if you’ll need some of the best car speakers with bass and sound quality, then this particular Infinity model can be yours for a reasonable price as it offers a bass output that seems better than some other car speakers in the Infinity Car Speakers family. It is alluring and pleasing to the eye as well and so having it installed into your automobile will not only greatly improve the audibility but also the aesthetics. Installation is also a breeze as the speaker design makes them very versatile and easy to install. Bass may also be underwhelming to some audiophile though it depends on individuals. Our stand still remains; Infinity Car Speakers are some of the best car speakers around and we recommend you consider some of those we reviewed when planning to upgrade your car’s sound system. Thanks for going through our Infinity Car Speakers Review and we do hope you find the perfect fit for your cars, trucks and other automobiles. But before we call it a day, we’d like to analyze some of the key points and differences between the Infinity Reference Speakers and the Infinity Kappa Series of Car Speakers. This is so you can know what specs and features both have and how they seem to differ from each other. While models in both series may have specifications that are similar or slightly different from each other, there are those areas that markedly signify the differences in the features and performance of both of these great car speakers. While the Infinity Reference series of speakers utilize polypropylene cones for their woofer, the Kappa Series, on the other hand, uses glass fiber cones which are stiffer and lighter than polypropylene cones. The Infinity Kappa Series incorporates the use of polyester caps, air inductors and much more in their crossover components. These are generally of better quality than those used in the Infinity Reference series of car speakers. Crossovers are also important to the quality of sound a speaker delivers. Although not confirmed, the Infinity Kappa Series is thought to have extended and longer voice coils as well as larger magnets when compared with the Infinity Reference Series. This is probably why most speakers in the Kappa Series are able to play louder sounds without distortion. The Kappa series of Infinity Car Speakers cost more than their Reference Series counterparts. The difference form some may be as nearly as double and so you’d need to consider your budget while making a decision about which side you intend to stay. Although both models are still reasonably priced, the little differences in the price at times could be a deal breaker in some instances. The Infinity Kappa Series also seems to have a wider frequency range as compared with most models the Infinity Reference Series line of speakers. The Infinity Kappa Series sure have the better performance of the two. Although you’ll have to pay more for the premium it cost and all the add-ons. The Infinity Kappa series of speakers are still very reasonably priced if you consider them with most other speakers in their price. So, whether you are team Infinity Kappa or you’re on the side of the more affordable Reference series, you’ll still find these as a significant boost and upgrade to your factory-installed speakers. Nothing comes close to the excitement and fun of listening to vibrant sounds coming from a pair of high-fidelity speakers and if you find yourself in the market for car speakers, the Infinity models will give you the best value you can get from some of the best car speakers available anywhere in the world. Generally, Infinity Speakers seem to lag behind in the bass department although most models in the Kappa series would still provide decent bass output. The issue of bass too cannot be generalized since we listen to sounds and music in fairly different ways and perceptions. With their great sensitivity rating and very excellent power handling capacities, the Infinity Car Speakers can fill up your car space with great audio. With a few clicks away, you can get rid of the mediocre sound systems as these Infinity Car Speakers will turn around your auto entertainment sessions.